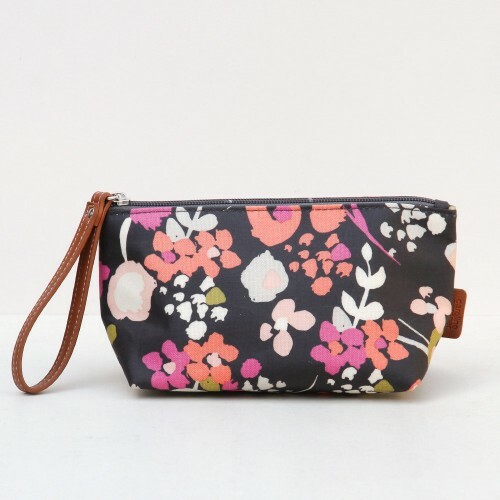 Keep your make up stowed safely in this stylish cosmetic bag with practical wristlet strap perfect for hanging in the bathroom. 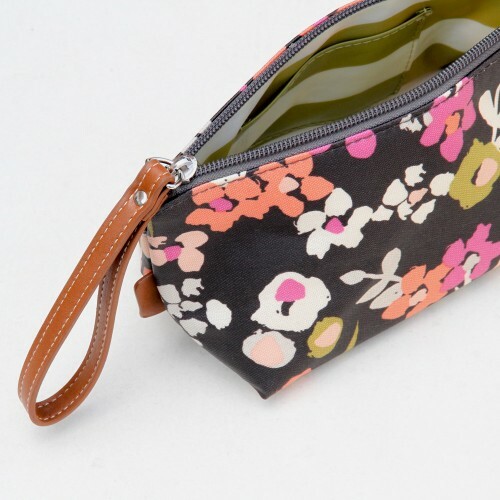 The make up bag is made from a lightweight coated canvas fabric in our newest Ditsy Meadow print. 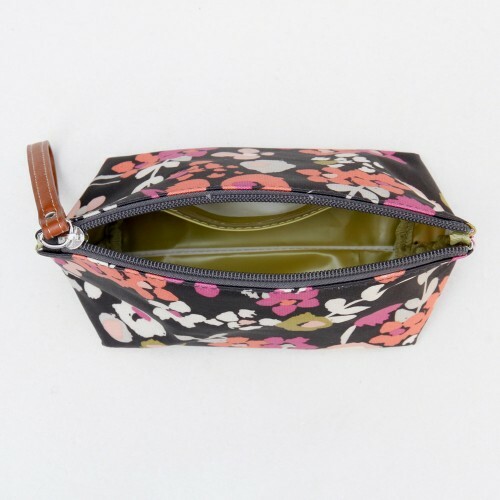 The internal lining is wipe clean and features a contrasting olive stripe and has an internal pocket. A make up bag perfect for travelling or carrying your essential daily cosmetics in your handbag.